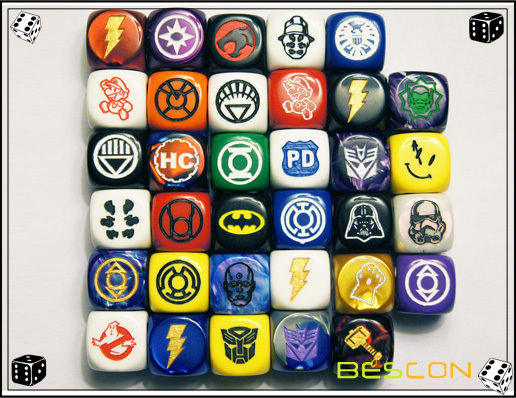 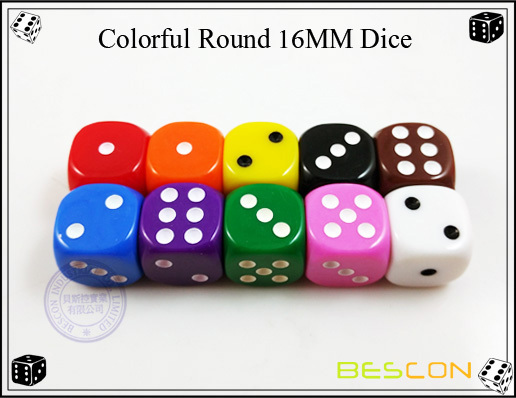 These are very high quality 16MM round board game dice. 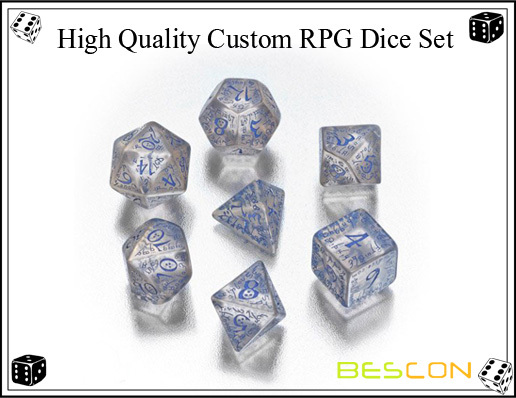 They have vivid color and high polished finishing, the dots are etched clearly and deeply. 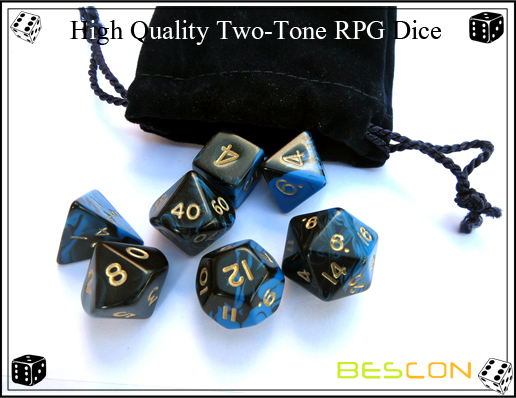 They look fantastic under any light. 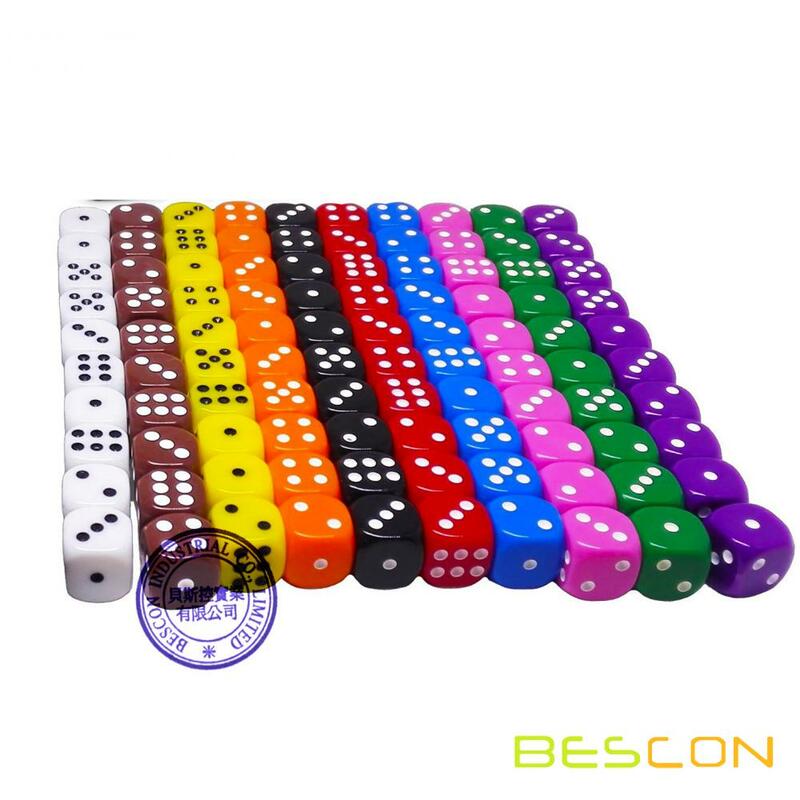 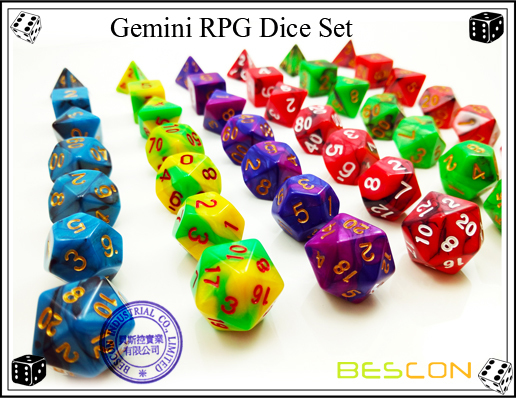 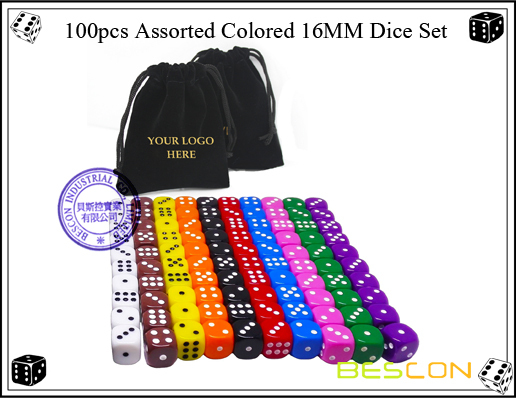 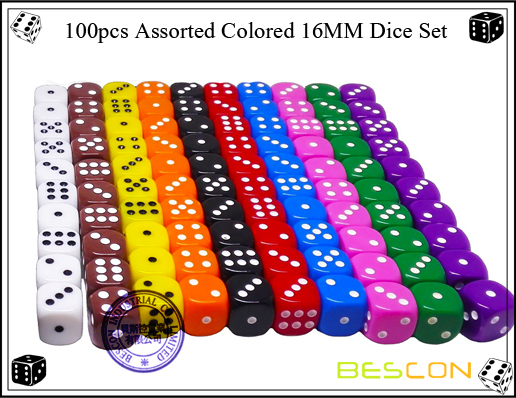 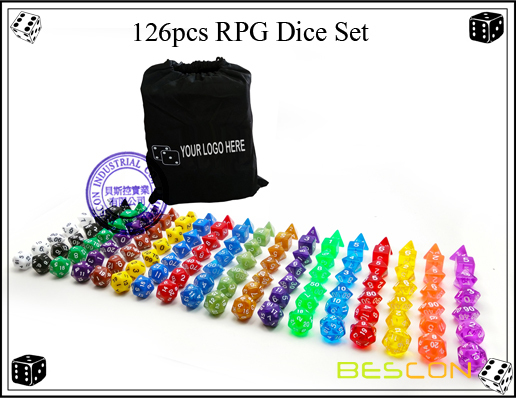 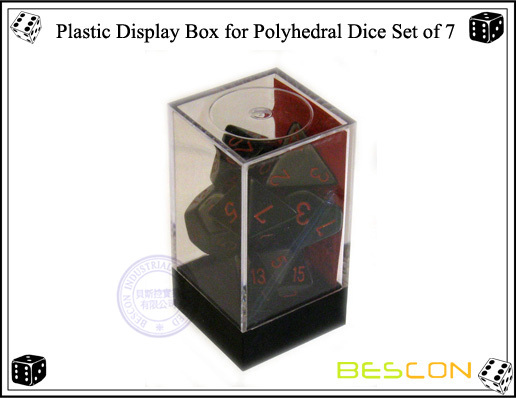 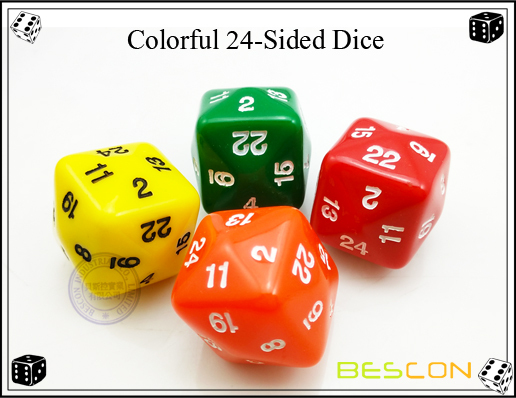 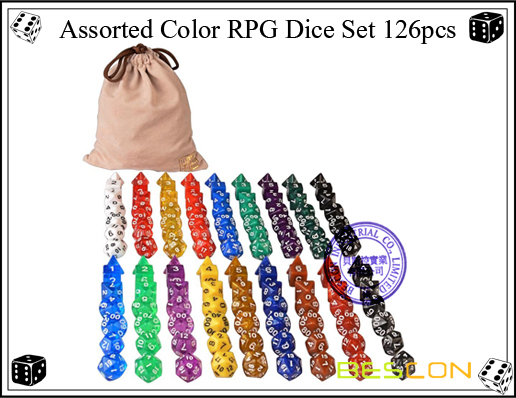 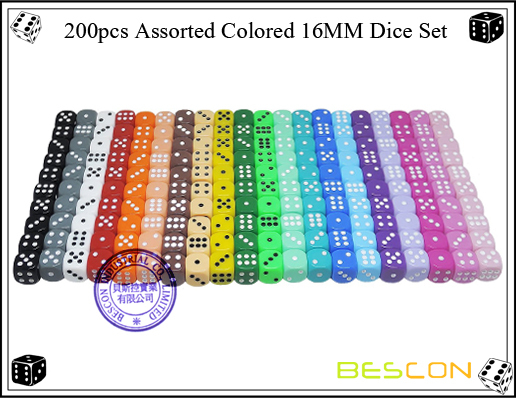 This set has 10 different colors of dices, it is a 100pcs big set with velvet pouch packing. 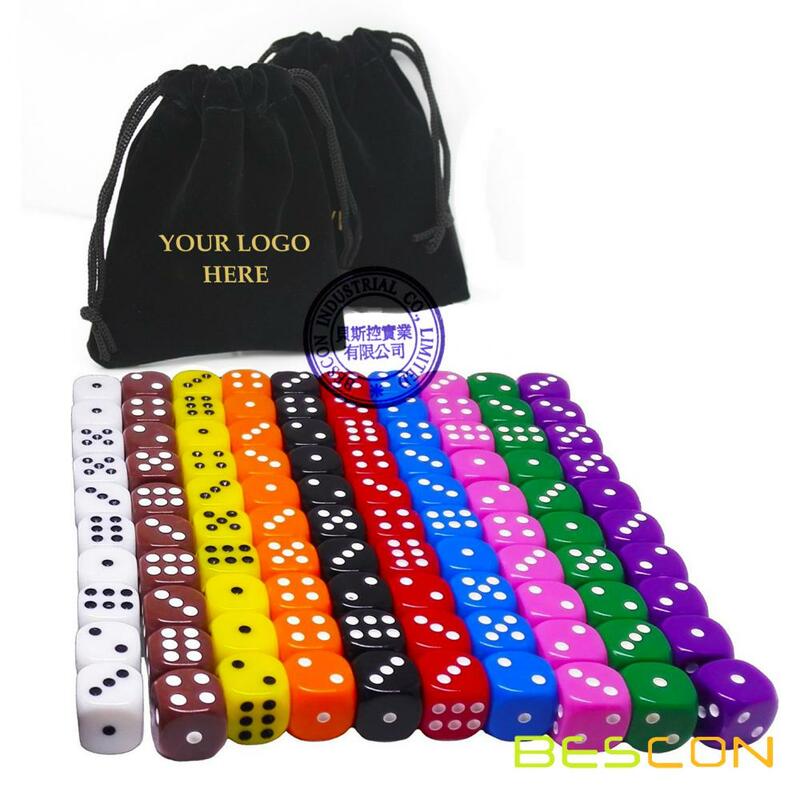 We make custom printing on the bag, so it becomes your own brand!